Jul. 24, 2014 8:00 p.m.
RCMP Chief Supt. Dan Malo spoke at a conference on gang violence prevention Thursday in Surrey. The battle against gangs in B.C. 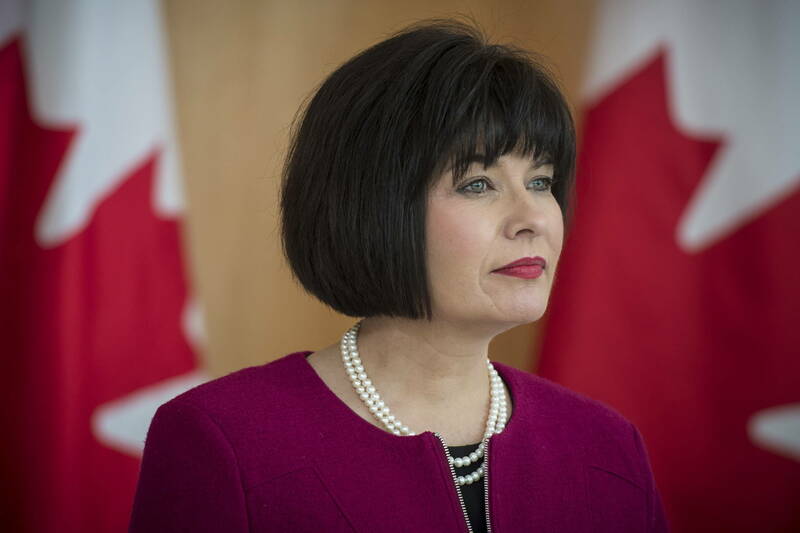 has made big advances but now is not the time to relax, a top B.C. Mountie told a conference on youth gang prevention Thursday. RCMP Chief Supt. Dan Malo said he believes redoubled community efforts and new policing tactics can further dent organized crime and prevent a resurgence of the gangland bloodbath of five years ago. “We’re down in the statistics,” Malo told delegates in Surrey at the Acting Together gang prevention conference organized by Kwantlen Polytechnic University. 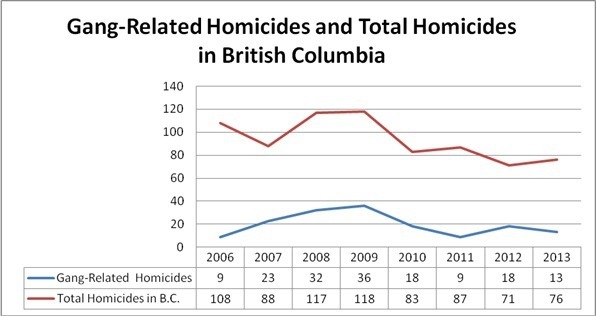 There have been just three gang-linked murders in B.C. so far this year, way down from 2007 to 2009, when the annual death toll ran as high as 36. Malo said it’s becoming clear a police strategy of pressuring prolific gangsters to make life uncomfortable and rob them of their power and influence is helping. He said it’s also clear earlier enforcement in B.C. failed because gang members “weren’t being touched” while they spent lavishly and developed the attitude they were “superstars” who could kill at will. Youth in B.C. cities were recruited and sucked into the vortex of violence. Past policing success was measured too much by the number of bad guys jailed or kilograms of cocaine seized, Malo said, and focused heavily on taking out top crime kingpins. Today, he said, more effort aims to change attitudes and behaviours. The new endganglife.ca campaign of B.C.’s anti-gang police unit plays on emotions of gangsters with imagery of loved ones left behind after they’re dead. Malo said it worked on one ex-Lower Mainland gangster, who recently agreed to exit the life rather imagine his child having to bury him. The biggest challenge was answering the man’s question of what he would do now to keep earning $6,000 a day. Malo said officers arranged for the ex-gangster to enter a training program for a job that will pay well. Malo also wants to put pressure on others who profit from gang activity. “We have to lean on businesses that take straight cash for vehicles,” he said. While there have been signs of success – Malo also counts the doubling in the price of cocaine in the past couple of years to $60,000 a kilogram, indicating a crimp in supply – there are also trouble spots. Heroin overdoses have spiked in the last six months, he said. And too many B.C. criminals remain influential players in the international drug trade.